People who travel and have special dietary needs must ensure they can find healthful meal options on the road and at their destination. And while more restaurants and hotels are expanding healthful menu choices, there’s one hotel chain in particular that has gone above and beyond to cater to its customers worldwide who must eat low-fat, heart-healthy, and allergy-free cuisine. Fairmont Hotels & Resorts, a chain of luxury hotels located across the country and abroad, has expanded its menu items to cater to vegetarians, vegans, customers with diabetes, those with food allergies, and others who have special dietary needs. The chain had been offering low-fat, low-carb, and vegetarian meals through its Lifestyle Cuisine program since 2009, but the meal offerings were limited and not as healthful as the chefs had thought. A customer survey found that more than 70% of its customers wanted a wider variety of healthful menu options, so members of the foodservice division partnered with a nutrition consultant to evaluate the program. “We had items that were generally perceived to be healthful, but they didn’t really meet good, solid criteria,” says Mariano Stellner, corporate director of food and beverages for the hotel chain. With the nutrition consultant’s assistance, Fairmont’s foodservice team transformed recipes to make them more healthful and looked for ways to add variety. In addition to low-fat, low-carb dishes, the team began offering vegan, raw, macrobiotic, and gluten-free meals as well as those designed for diabetics along with heart-healthy cuisine based on the DASH diet. Rather than develop one menu for all the hotels, Fairmont had its chefs design their own menus, allowing them to use local produce, cater to regional tastes, and take advantage of the public’s growing interest in nutrition. Stellner, an Austrian-trained chef, says traditional culinary wisdom always has supported the need for three key elements when creating a successful dish: ingredients, preparation, and presentation. It’s expected that well-trained chefs use the freshest ingredients to make and present fine dishes to customers. However, Stellner says, this thinking has evolved. To ensure nutrition was top of mind, Fairmont’s consultant and staff spent one year extending the program and using computer software to analyze recipes. The new initiative was dubbed Lifestyle Cuisine Plus, an extension of the original Lifestyle Cuisine program. In preparation for Lifestyle Cuisine Plus, Fairmont flew all its chefs to Chicago for a 2 1/2-day health, wellness, and lifestyle conference. The chefs were asked to begin implementing the Lifestyle Cuisine Plus program in the hotels in which they worked using the computer software and guidelines. Stellner says getting the chefs up to speed was one of the most challenging aspects of Lifestyle Cuisine Plus because they already have many responsibilities, and this required them to think about their dishes in a new way. 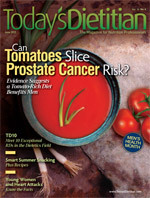 The results were positive, though, and Lifestyle Cuisine Plus was rolled out in the first quarter of 2011. Most of that year was spent refining the program, but the chefs were able to develop a broader range of healthful options unique to each Fairmont hotel across the country and abroad. Another challenging aspect of Lifestyle Cuisine Plus was educating chefs and staff about food allergies. As awareness of gluten intolerance and gluten sensitivities has grown so has demand for gluten-free options. It’s one thing to develop a dish that doesn’t contain gluten—a challenge in and of itself—but it’s quite another to prevent cross-contamination from other food items during preparation. Stellner says this is something Fairmont emphasizes to all kitchen staff. Thus far, Fairmont has developed several gluten-free options that have been well received. Guests can enjoy Baked Tofu With Bean Noodles at the Fairmont Sonoma Mission Inn & Spa; Cornish Crab Cake and Marinated Cucumber & Grapefruit Salad With Homemade Aioli at the Fairmont Bab Al Bahr; and Ginger Beef Satay With Cashew Dipping Sauce at the Fairmont Olympic Hotel in Seattle. Stellner says the key to providing delicious meals that meet stringent dietary guidelines is to make small changes at every level of preparation. “It’s not like flipping a switch. Our chefs are used to preparing creative, high-quality, luxury meals. They aren’t chefs of a sanatorium but chefs of luxury hotels, and you want to be able to offer both [gluten-free and non–gluten-free fare],” Stellner says. “You don’t want to completely change the menu inside out.” The goal is to make dishes healthier without blunting their flavor,” he adds. In addition, the chain rolled out a children’s version of Lifestyle Cuisine Plus this spring. So far, Fairmont’s guests have responded favorably to the expanded healthful meal offerings, and Stellner believes customers will increasingly expect healthier dishes that taste great. The luxury hotel chain emphasizes sustainable, locally grown, organic ingredients whenever possible.